CNS (Citizen News Service): Evidence should inform policy: Should we offer antiretroviral therapy soon after HIV diagnosis? There are over 1 million new TB cases in people living with HIV (PLHIV) and 320,000 HIV/TB deaths every year. Moreover HIV increases the risk of getting TB manifold - PLHIV have an annual 5%-15% risk of acquiring TB infection as against is 5%-15% lifetime risk in HIV negative persons. Challenges to concurrent HIV and TB therapy - like pill burden, overlapping drug toxicities, pharmacokinetic of drug-drug interactions, increased risk of immune restoration disease - have led to debates on when to initiate ART in patients with newly diagnosed HIV infection and TB. However, results of a few important studies produce strong evidence to improve treatment outcomes for PLHIV as well as to protect them from co-infections like TB. 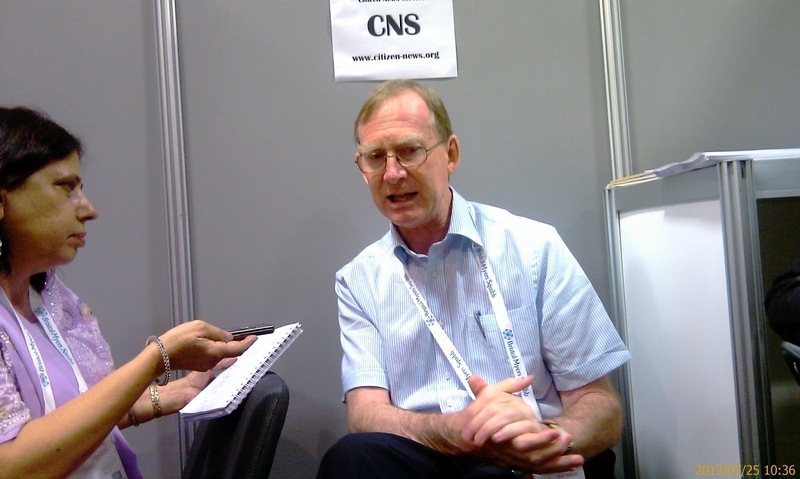 [Watch CNS Video featuring interview with Dr Anthony D Harries] During an interview given to Citizen News Service (CNS) at the recently concluded 5th Asia Pacific Region Conference on Lung Health, Dr Anthony Harries, Director, Department of Research, at International Union Against Tuberculosis and Lung Disease (The Union), mentioned that apart from TEMPRANO, another study also shows that adding 12 months of isoniazid preventive therapy (IPT) to ART gave the added benefit of significantly reducing the incidence of all TB diagnoses in PLHIV. While presenting her findings, at AIDS 2012, Dr Molebogeng Rangaka of the University of Cape Town had said, "There was a 37% reduction in the rate of incident TB in the IPT treatment group compared to those who were receiving ART alone. There is a suggestion, although not significant, that the effect of IPT seems to wane by duration. But that effect did not wane as rapidly as in patients not on ART, with the effect seeming stable for about a year." "It is very easy to introduce IPT to PLHIV through ART clinics that are visited by them once every 1-2 month. Unfortunately, as of now we do not know as to for how long should IPT be given. In sub-Saharan Africa where there are very high rates of TB and HIV, it looks like IPT should be given for life. But one has to be careful, as isoniazid is not completely non-toxic and may affect the liver function. So regular monitoring should done at ART clinics where PLHIV have to go regularly and report side affects", cautions Dr Harries.